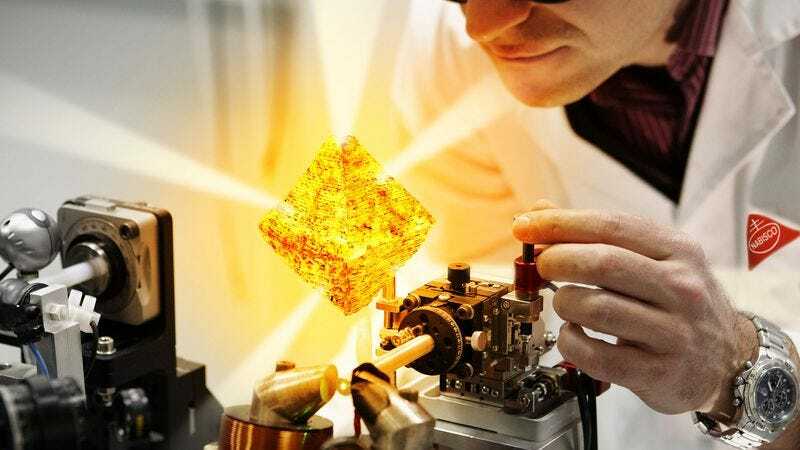 OAK RIDGE, TN—Snack physicists at Nabisco Labs announced Friday the first successful synthesis of a Quadriscuit cracker, a salty treat long postulated by the theoretical models of food scientists but never confirmed by experiment until now. “At the moment, this hyperwafer can only exist for six milliseconds in a precisely calibrated field of magnetic energy, positrons, roasted garlic, and beta particles,” lab chief Dr. Paul Ellison told reporters at a press conference outside Nabisco’s $200 million seven-whole-grain accelerator. “However, by bombarding the cracker with neutrons until it reaches critical levels of zestiness and crunchability, we believe we can one day develop a chemically stable and edible Quadriscuit. Needless to say, such an irresistibly tasty breakthrough could upend everything we thought we knew about snacking.” Ellison added that the snack’s existence cannot be explained by classical Fig Newtonian physics.